For the standard mp3 version that is playable directly from MusTech.Net Click Here. 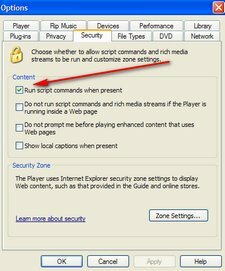 Make sure you have selected “run scripts” from under the security tab of the tools section in Media Player to utilize this Enhanced Podcast. You will have to “download” this podcast to your computer to take advantage of the Enhanced Features. This podcast will download as a WMA file and the download link is found at the bottom of the page. MAC Users Note: In order to take advantage of the Enhanced podcast on the MAC you will have to have Windows Media Player 9 or 10 for OS X installed. Get it here! Take note of the above note as well.